The New Zealand Society for the Prevention of Cruelty to Animals teamed up with the car company MINI to teach three rescue dogs how to, well, drive a car. 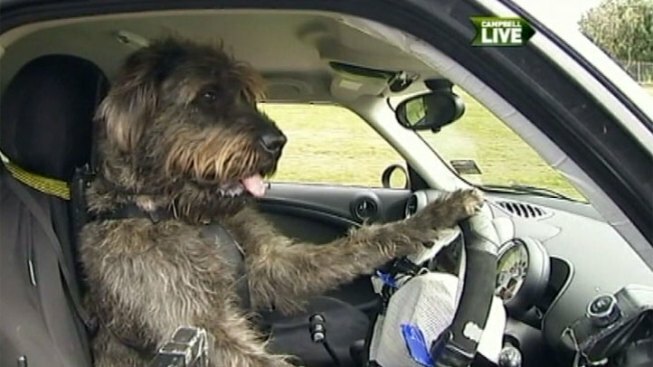 The car company modified one of its Countryman models to respond better to paws, and the animal organization picked three canines – Monty, Porter and Ginny – to be the drivers. The idea is to show that the animals are intelligent, trainable, lovable and ultimately deserving of good lives and good homes. New Zealanders will get a chance to see more of the dogs on Dec. 10, when a segment on them will air on the “Campbell Live” television program.